Sadio Mane, Liverpool and Senegal's national football team's winger might find some serious problems when he arrives in Egypt for the African Cup of Nations in this year. Sadio failed to make it to the Premier League's top scorers in their 2017-2018 league run, ending up with 10 goals and behind his teammates, Mohamed Salah and Roberto Frimino, but making it up with 10 goals in the UEFA Champions League and scoring in all stages of the competition. 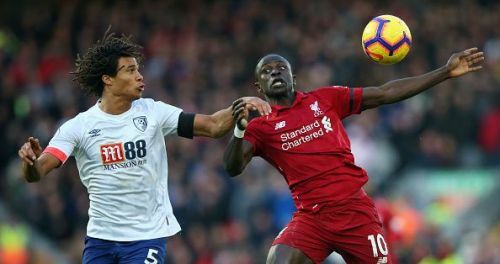 Mane started to become a more of a selfish player for the ongoing 2018-2019 season, especially in the Premier League competition. He is known for his long dribbles without passing or tricking other players inside the box to score a fresh-looking goal, but these goals might miss or hit the post. Sadio's skills in the field are unquestionable, he has proven his ability to be a great trickster in the Premier League and the Champions League as well. The only problem he suffers is the misses or unnecessary passes that end up nowhere. Sadio's issue in Egypt started after Sadio decided not to pass to Salah on several occasions in Liverpool's matchup against Tottenham Hotspurs, which made him receive a lot of criticism. Egyptians started spamming Mane's posts on social media with insults, racial abuse and started to say that he is "burned by the fire of the Egyptian king" according to some posts and tweets. After the arrival of Mohamed Salah in the Premier League, Sadio lost Liverpool's Player of The Year award to him along with CAF's African Player of The Year award as well. Igniting the flame of Sadio's desire to succeed on a personal level as well with the Senegalese claiming that he will get CAF's award next year. It seems that it didn't affect the relationship between Sadio and Mohamed, as they share 28 goals with Roberto Frimino this season in the Premier League. Egypt is hosting Africa's Cup of Nations and Senegal is participating in the competition as well, that might seem like an issue for the Senegalese international who might find some problems during his stay in Egypt. Several persons started igniting the flame of hate towards the Senegalese on the internet, asking him to not come to Egypt in Senegal's upcoming campaign in order to avoid what may await him. On the other hand, Liverpool's Official Supporters Club in Egypt issued several statements of support for the 26 years old winger. They started sending e-mails of love and support to the Senegalese international and social media accounts to tell them that they appreciate his presence for the clubs. Liverpool's media acknowledged Liverpool's group and praised them for it, gaining better recognition stats for the club and the group in Egypt as well. The Lions of Teranga will be present in Egypt this June for the African Cup of Nations that will end on the 19th of July.